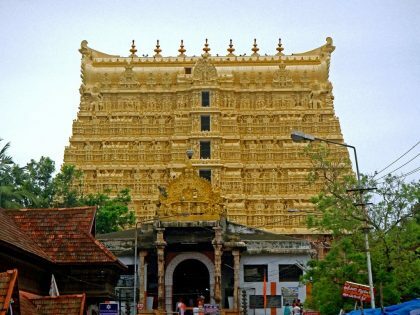 A whopping 1.2 Lakh crores worth gold, diamonds and other precious stones were unearthed in Sree Padmanabhaswamy temple in Thiruvananthapuram during June 2011. When I visited this temple, I just wondered what must have happened to all that centuries old treasure. Was it the first time that these Cellars were ever opened? Returning from the temple, much more curious than ever before, I started researching. Each time wondering how little I know of my country. In fact on 6 Dec 1931, long before the latest discovery of phenomenal treasures in the Sree Padmanabhaswamy Temple in Thiruvananthapuram, at least one of the several vaults of the temple had been opened and an inventory made of the precious objects found inside. However, Emily Gilchrist Hatch, who was in Trivandrum in 1933, offered an explanation in her book, Travancore: A Guide Book for the Vvisitor (Oxford University Press, 1933). She not only recalled the 1931 opening of the vault, but also mentioned a similar but unsuccessful attempt that had been made in 1908. Hence it may have been a regular practice to open these Cellars of Sree Padmanabhaswamy Temple under some circumstances. But even today there is one Cellar which could never be opened. That Vault is now the world famous ‘Vault B’. For ease of audit, these Vaults were given alphabetical designations from A to G.
While it was a Herculean task to open these Vaults, the Committee appointed by the Supreme Court in June 2011, had used all possible technological resources available to them. But no technology came handy for opening “Vault B”. While “Vault A” had treasure worth 1.2 Lakh Crore rupees, it is estimated that Vault B could have much more. 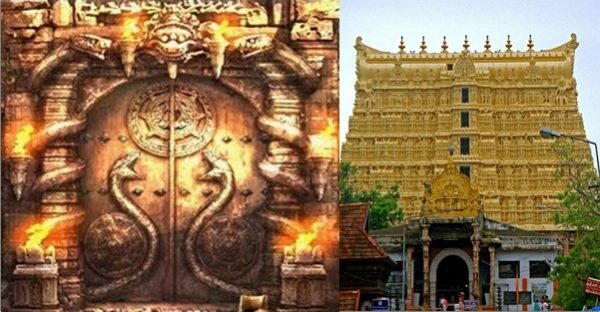 Thankfully for the Royal family of Travancore, SC granted an injunction; now opening of Vault B cellar of Sree Padmanabhaswamy Temple is not permitted. It is believed that this chamber is highly mysterious, sacred and risky by Trust members and other learned Vedic astrologers. The entire world now wants to know what is behind that secret door. 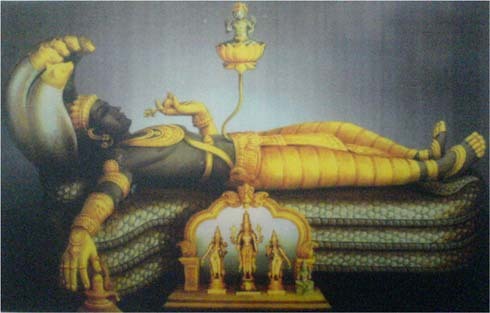 As per legends, this vault of Sree Padmanabhaswamy Temple was locked by using NAGA BANDHAM and mantras by sages who lived during the reign of King Marthanda Varma in the 16th century. The door to such a vault can only be opened by highly enlightened sages who are familiar with the knowledge of removing NAGA BANDHAM or NAGA PASHAM by chanting a very sacred and highly complex GARUDA MANTRA. Wonder how many more such mysteries are hidden in this wonderful country called BHARAT. Featured image courtesy: YouTube and theimgpic.p.